The Shih Chung Branch School remains frozen in time. Shadowed by the busy, sky-high metropolis of Penang, which has now engulfed the small, ruined shell of a school. Gated off and overgrown with plants and trees, the crumbling walls and faded paint exhume a bizarre atmosphere. Many locals consider the school to be an eye-sore and omen to the terror that once consumed Malaysia during times of war. The front of the old Shih Chung Branch School in Penang, Malaysia. Capturing a glimpse of this abandoned school makes it easy to understand why many consider this to be a haunted location. Yet, understanding the former school’s history solidifies that these haunted rumors just may be etched in truth. Inside of the abandoned, supposedly haunted school at night. The Shih Chung Branch School did indeed begin its life as a school, yet its purpose was to soon take a more sinister turn. As World War II slowly engulfed Malaysia power in the country was seized by the Japanese. This saw Japanse military seize the Shih Chung Branch School and retain the property for use as an administration building. Looking up at the former Shih Chung Branch School. During the time that the Japanese occupied the building, there were some disturbingly dark events that took place within. It is said that many people were interrogated, tortured and executed within the old school. This is why so many believe that the school is haunted. It is believed that the souls of those who murdered within the building still exist there, alongside a couple of Japanese soldiers. An overgrown and decaying haunted school. Some people have felt strange physiological effects they believe to be related to the school simply from passing by it. 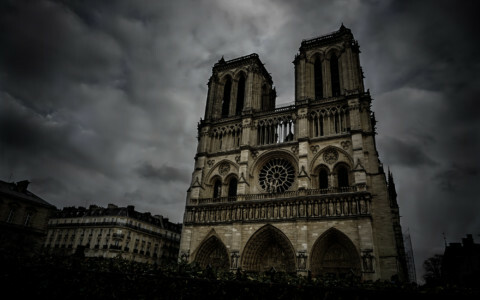 Others who have been brave enough to venture inside have reported to sight apparitions, hear voices when no one else is present and even experience the sensation of illness, which onset rather rapidly and subside after leaving the area. Exploring a haunted school at night. Today, the abandoned school is completely boarded off. It can still be viewed clearly by visitors passing by. It sits in the middle of an area used as a public car parking lot and is easy to approach. Even if you were able to get inside the fence that guards the building, it is in an advanced state of decay and looks extremely unstable. Add to this the many animals and dense vegetation that has completely engulfed the building. 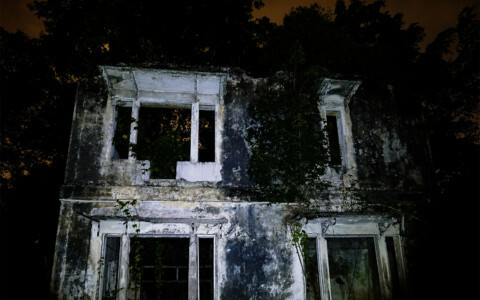 Searching for the ghosts of Malaysia’s Shih Chung Branch School. 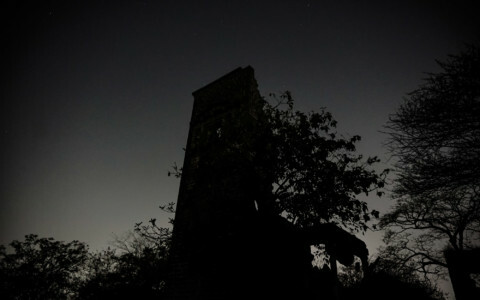 Want to learn more about other haunted places in Malaysia? Check out this abandoned mansion.